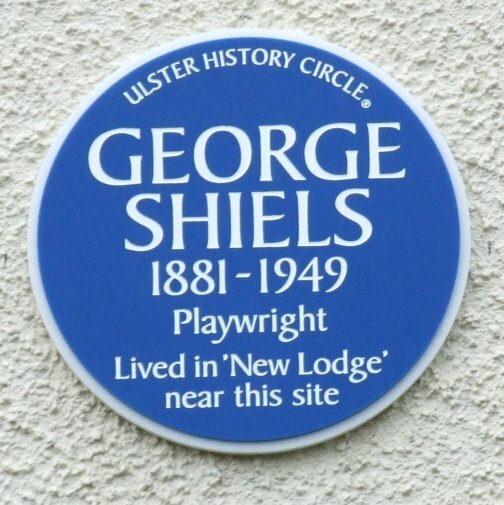 George Shiels was born near Ballymoney, Co. Antrim, on 24th June 1881. He emigrated to America as a young man. 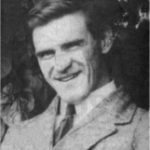 There, an accident while working on the construction of the Canadian Pacific Railway in 1913 confined him to a wheelchair for life. 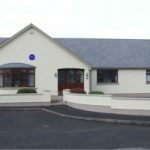 He returned to Ballymoney, where he opened a shipping agency with his brother and began to write stories based, to begin with, on his experiences in America. For a time he used the pen-name George Morshiels. 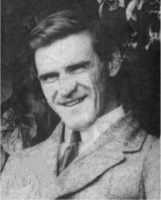 His first play, Away from the Moss, was staged by the Ulster Literary Theatre in 1918, and this was followed by Felix Reid and Bob and The Tame Drudge, both in 1919. In 1921 The Abbey Theatre in Dublin staged his one-act comedy Bedmates. His first major success was Paul Twyning (1922), and his popularity with Dublin audiences did much to restore the theatre’s fortunes. 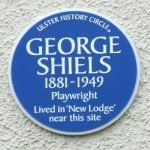 His plays were equally successful in Belfast’s Group Theatre. Much of Shiels’ work can be simply categorised as kitchen comedy, and plays such as Professor Tim (1925) and The Old Broom (1944) are constantly performed in the amateur theatre. He was a shrewd observer of the changing world around him. The New Gossoon (1930) skilfully recorded the impact of radio, cinema, dance hall and the internal combustion engine had on traditional rural life. When he turned to tragedy, as in The Passing Day (1936), Shiels could be equally effective. Originally a radio play, it uses flashback technique to portray the miserly life of a small merchant; Tyrone Guthrie revived the work for the 1951 Festival of Britain. The Rugged Path (1940), which has a record-breaking run at the Abbey, and its companion piece The Summit(1941) contrast a tyrannical mountainy clan with law-abiding lowland farmers, and question the traditional Irish revulsion towards informers. 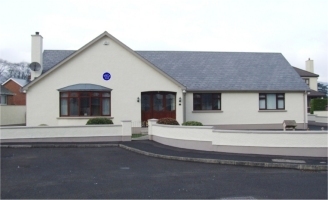 In 1932 success as a playwright enabled him to give up business in Ballymoney and he moved to ‘New Lodge’ in Carnlough. A modest man, he refused an honorary degree from Queens University and membership of the Irish Academy of Letters. He died on 19th September 1949 and was buried in Ballymoney.